With the 2015 ICC Cricket World Cup coming closer to its business end, we see more and more local and international brands getting aggressively involved in Cricket World Cup related marketing promotions campaigns. Even in Sri Lanka, we see a lot of radio and TV stations, super market chains, Telco companies and many more companies doing various marketing activities in parallel to the ICC Cricket World Cup. However, most of these marketing campaigns are done in a manner they violate the stipulated rules and regulations by the ICC to protect ICC’s own intellectual property rights (IPR) and the best interest of the ICC commercial partners. Oh wait…Are there regulations like that? I suppose, some of you may ask. Yes, it’s true most marketers in Sri Lanka do not know that there are such regulations governing a brand’s ability or inability to run a CWC associated promotion and from the ones who are aware of that fact, a vast majority is simply ignoring the rules thinking that the ICC is not enforcing those regulations in Sri Lanka. I am not a lawyer, so please don’t take any of the opinions and recommendations mentioned below as legal advice. If you are a marketer who is concerned about the implication of these ICC regulations, please consult your company’s designated legal partners to get the best interpretation of ICC regulations. Let’s start with what are these guidelines and where are these rules published. 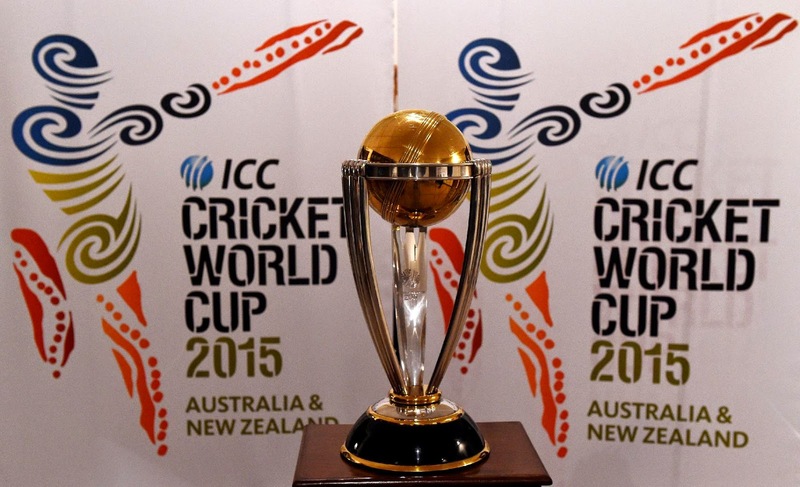 You can download the full ICC branding and promotions guidelines for CWC 2015 on this link. This document clearly defines what are the protected IPRs of ICC and clearly explain why the interests of ICC commercial partners are protected in these guidelines. All the ICC commercial partners pay a huge sum of sponsorship fee to ICC for the conducting of ICC Cricket World Cup. After investing that amount of money for this gala event, is it fair for ICC to turn a blind eye on the competitors of these commercial partners getting mileage out of Cricket World Cup? Definitely not. That’s why, ICC is putting this much emphasis on the rights of the commercial partners. For example, after investing a huge sum of money to become the official beverage partner of ICC World Cup, Pepsi would never want to see Coca-Cola running an under the crown promotion to give away World Cup match tickets (a simple example). By now I guess you realized it well; this is why the Sri Lanka cricket team is not wearing their official sponsor’s logo on their world cup jersey. Because, Reliance India is the official telecommunications partner for Cricket World Cup so for their best interest ICC has ruled out the possibility of any other telco brand to have space on player jerseys for this world cup. Yes, Dialog may be the official sponsor for Sri Lanka cricket team but ICC is bigger than SLC. In that scenario, Dialog is considered a competitor of a commercial partner of ICC for this world cup and hence being deprived of taking any advantage of their national team sponsorship during the World Cup matches. Now, does this mean none of the ICC commercial partners can do any marketing communications with related to the World Cup? No, it’s not the case. As you may realize, all these things are governed by a “law” and as always every law has a flaw in it. There’s so much that ICC can do to protect their commercial partners. Beyond that, the competition can take control. For example, according to the television broadcasting rights agreements, every channel who gets the license to broadcast CWC matches in each country are supposed to offer their sponsorship deals exclusively to the ICC commercial partners in the first round of offering (no bidding allowed). If any of the ICC commercial partners are not buying the advertising properties on the TV channel, then the channel can put it openly on sale for any interested advertiser. This is how Channel Eye studio discussion advertising property ended up in the hands of Mobitel. Now, Mobitel being (technically) a competitor of Reliance, can still use a CWC property to advertise their brand (which is perfectly legal). Problem arises, if Mobitel (for example) start running promotions during this broadcast directly linking to the CWC matches. For example, asking questions like “what would be the first innings score of today’s Pakistan Vs UAE match?” and then selecting a winner would be a violation of ICC promotions and brand regulations (refer the doc). Now, there are lawful ways of brands sneaks through these promotions guidelines. In reality, Reliance, LG, Pepsi, MRF, Emirates, Reebok, Castrol, Moneygram, Hyundai, ESPN Star, and SAP are the only commercial partners ICC has who can have a commercial association with the ICC World Cup. Any competitor of those brands attempting to create a commercial association (running promotions directly linked to CWC matches, offering tickets to the final etc) with World Cup is both unlawful and unethical. HOWEVER, anyone (including brands - who are legally "persons") can use their Social Media profiles to "report", "discuss" and "engage" about matches which takes place in the CWC with an intention of "information sharing" (no commercial/trade association). For example, when Mahela Jayawardene scores a century, Samsung or CEAT Facebook pages may put a status congratulating his achievement, but LG or MRF can't make a lawsuit out of it for violating ICC regulations. Technically, a tweet is not an advertisement, so mentioning “Congratulations Mahela for that wonderful century against Afghanistan” on Samsung Twitter account is not at all creating a commercial association between the Cricket World Cup and brand Samsung. You can run promotions for your brand during the World Cup season, using only the word “Cricket” (and not World Cup) or the other way around (World Cup, but no mentioning about Cricket). You can run “Cricket Quizzes” and give away non-CWC15 related gifts during the World Cup season, which is perfectly a legal way of riding on the cricket wave. Or, you can run “World Cup” related raffle draw and give away non-CWC related gifts. Because, ICC’s IPR protects only “Cricket World Cup”, as FIFA, IRB and many other sports bodies maybe sharing the term ‘World Cup’ so nobody can claim exclusive rights for that. OK, those were my interpretations and as I mentioned before, take this advices at your own risk or consult your lawyer :-) I am not responsible for you getting sued by ICC for trying out any of these suggested options. For better clarity, read the full document published by the ICC. For simplicity, let me quote two of the most relevant paragraphs from that document to end this blog post. (ii) reproduce or distribute items using ICC CWC 2015 IPR in the course of trade. The ICC CWC Names and ICC CWC Marks cannot be used on goods, in business names or in advertising or promotions without a licence from the ICC or one of its authorised licensees that, in turn, has the rights to grant sub-licenses. It is also unlawful, through the use of ICC CWC 2015 IPR, to falsely represent or imply any association, affiliation, endorsement, sponsorship or similar relationship with the ICC CWC 2015. It is important to note that a formal or pre-existing association with any of the participating national teams, players or the tournament venues does not permit a team partner, team sponsor, player sponsor or venue sponsor any right to use the ICC CWC 2015 IPR (other than the specific rights such team is authorised by the ICC to licence) without the prior authorisation of the ICC. When can the ICC CWC 2015 IPR be used? The ICC CWC 2015 IPR can be used with the licence and authorisation of the ICC or its authorised licensees that have been expressly granted the rights to grant sub-licenses. Such licence and authorisation will only be given to official ICC CWC 2015 sponsors, partners, licensees and noncommercial partners. There are very few situations in which the ICC CWC 2015 IPR can be used without the ICC’s explicit licence and consent. The ICC CWC Names, ICC CWC Marks and, to a limited extent and subject to the ICC CWC 2015 Media Accreditation Terms and Conditions and news access guidelines (and all relevant copyright laws), the ICC CWC Footage, may be used for news reporting purposes in noncommercial editorial-only pieces without the ICC’s prior authorisation. In certain circumstances when reporting and providing information on the ICC and/or the ICC CWC 2015, journalists are able to use the ICC CWC Names and ICC CWC Marks to illustrate their editorial-only feature subject to full compliance with applicable laws and regulations. Such use of ICC CWC 2015 IPR must be in compliance with these Guidelines. The ICC’s intention is not to restrict people from interacting with the ICC CWC 2015 or providing or sharing information on the ICC CWC 2015, but, when they do so, the ICC’s legal rights must be recognised, respected and fully adhered to. Mentioning on certain brand names on this post was solely for the purpose explaining the concepts, but in no way I intend to mean those brands are violating the ICC brand and content protection guidelines.